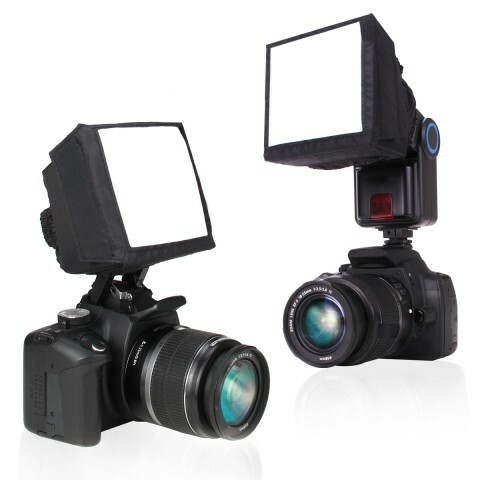 The diffuser works with most external hotshoe flashes. 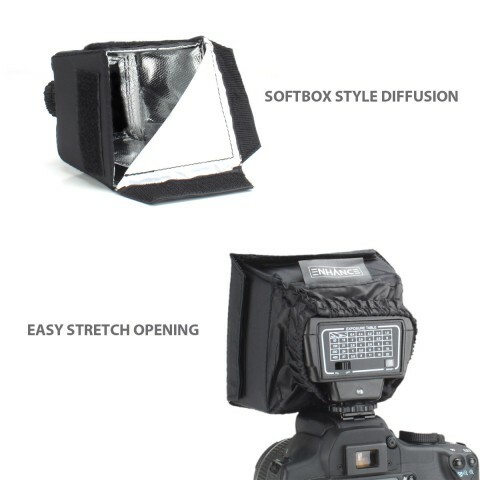 Simply stretch the elastic opening onto your external flash! 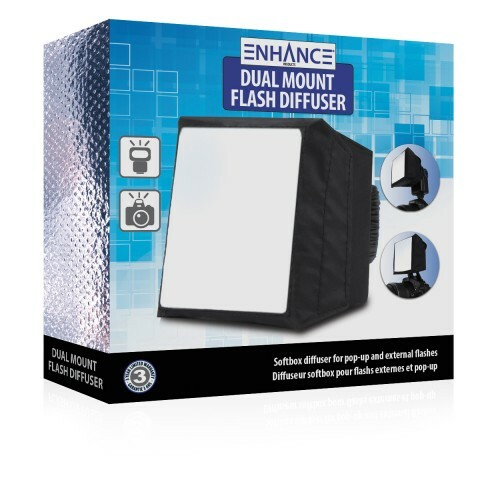 Fits up to 3 x 3 / 2 x 4 / 1 x 5 inches. 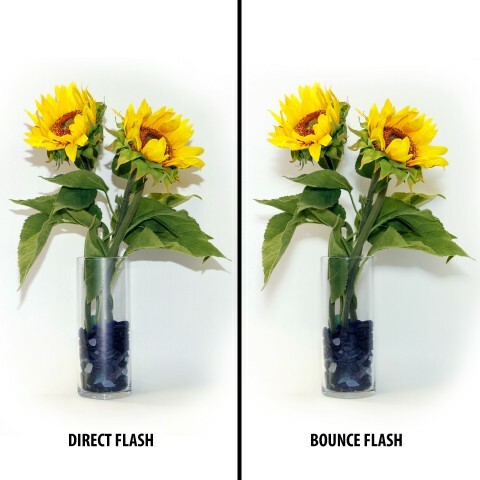 If you don't have an external flash, this diffuser also works great with most pop-up flashes. 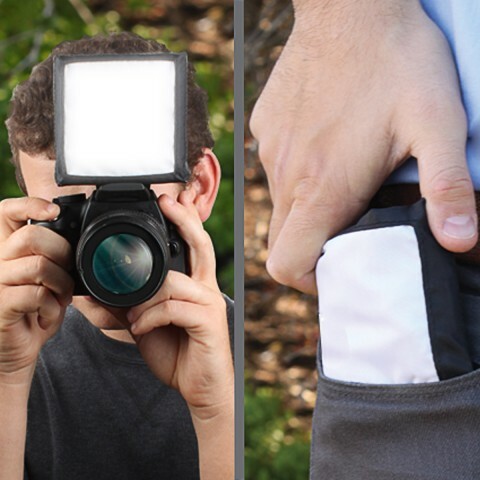 Just slide your camera's flash through the slit in the bottom to use the diffuser with your DSLR's onboard flash. 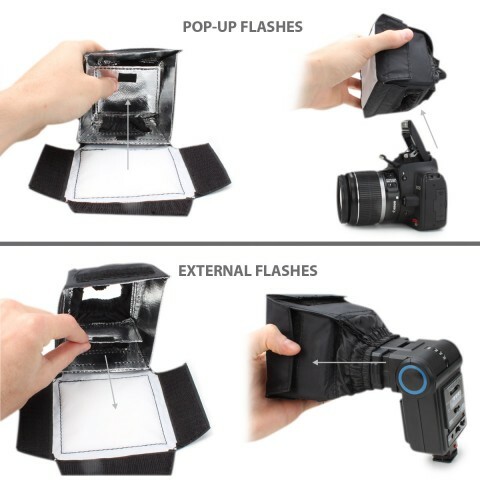 User-Friendly & Portable - The foldable design goes from flat to soft box in just a few seconds. 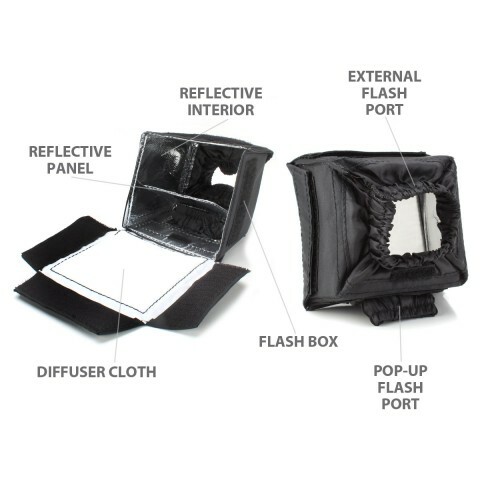 An internal reflective divider allows you to convert from external to pop-up flash mounting to accommodate a wide array of cameras and flashes. 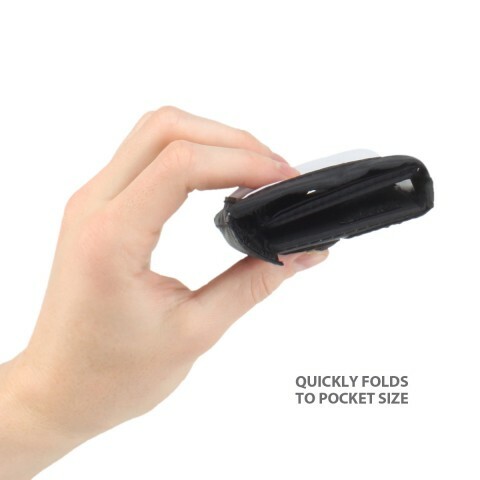 And at less than an inch thick , the diffuser can fit right in your pocket when folded up.